SHA256 hardware device with a hardware RNG, and protected key storage on an easy to mount board for the BeagleBone Black or Raspberry Pi. 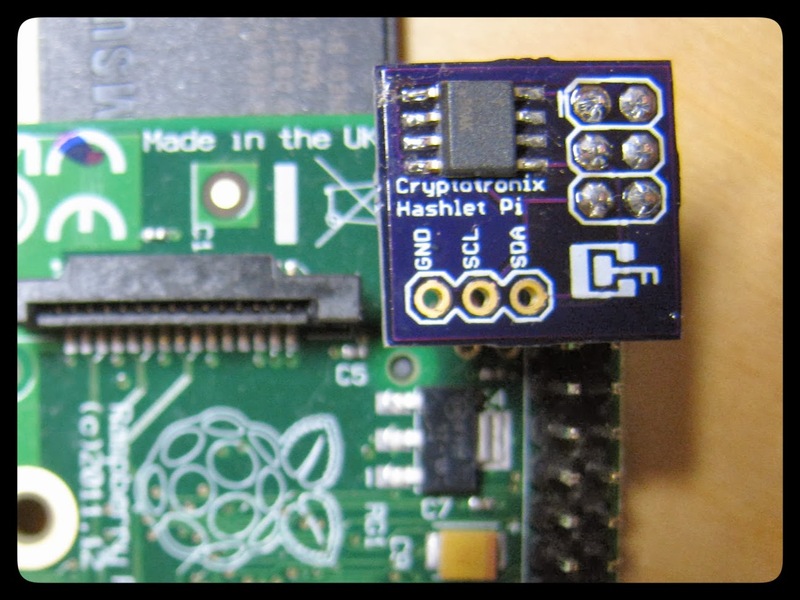 The Hashlet provides an easy way to add secure authentication to your BeagleBone Black or Pi. It has hardware protected key storage and performs the SHA-256 algorithm in the chip. Using a shared secret key, it adds authentication and message integrity to your embedded project. This means that another server, application, or a remote device can validate that a message originated from your Hashlet. Cryptotronix, LLC is dedicated to open hardware and open source software. Design files and source are available on Github. 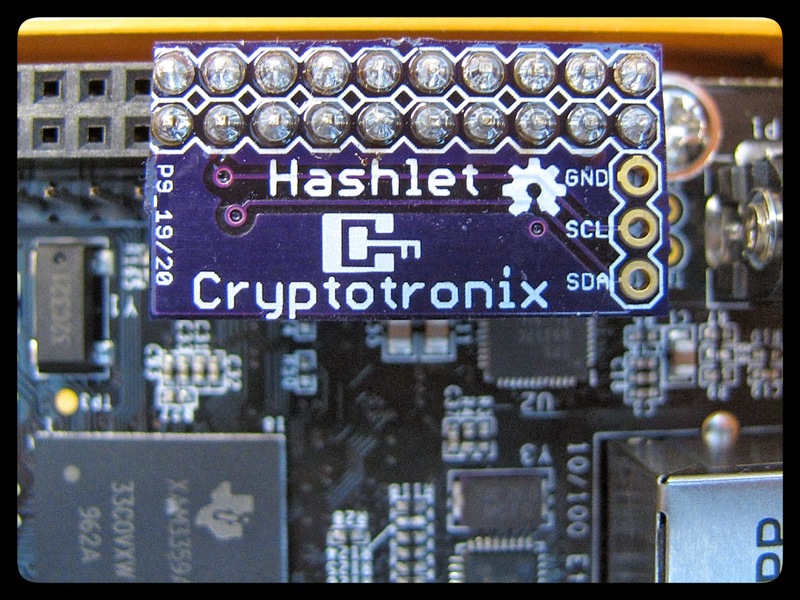 The Hashlet was recently feature on the Atmel Blog! The Hashlet stores hardware protected SHA-256 keys that can be hashed with the device’s serial number and a system provided challenge. If the device sends messages to a remote server, or another device, the remote party can verify the authenticity and integrity of the message. See this tutorial on how to verify Message Authentication Codes from the Hashlet. The Hashlet has its own random number generator that can provide 32 bytes of random data, which can be used to seed GNU/Linux’s /dev/random or for generating keys in another application. See our blog post on how to run the Hashlet through FIPS 140-2 random number tests. The device can perform HMAC-256. It combines user input, like a file or data on stdin, combines it with information in the device, and performs HMAC. The result can be verified offline without the device attached. Direct purchases are available via PayPal and Coinbase (Bitcoin) below or via Tindie. The price is $11.99 plus $5.25 for priority mail shipping in the United States. This item is subject to U.S. export controls as ECCN 5A992.B. 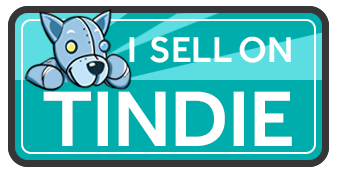 If you would to place an international order, please do so through Tindie. If you would like an international BTC order, please contact me.